We worked with the team at skyePBX to create a new, responsive, and mobile-friendly website. The new site is a multi-page website. Each feature and phone have a dedicated page. This allows visitors to the site to learn more about the overall products and services offered. With large call-to-action buttons and a clean top navigation, it’s also easy to explore the site. SkyePBX customers can also log in, pay a bill, and request support. 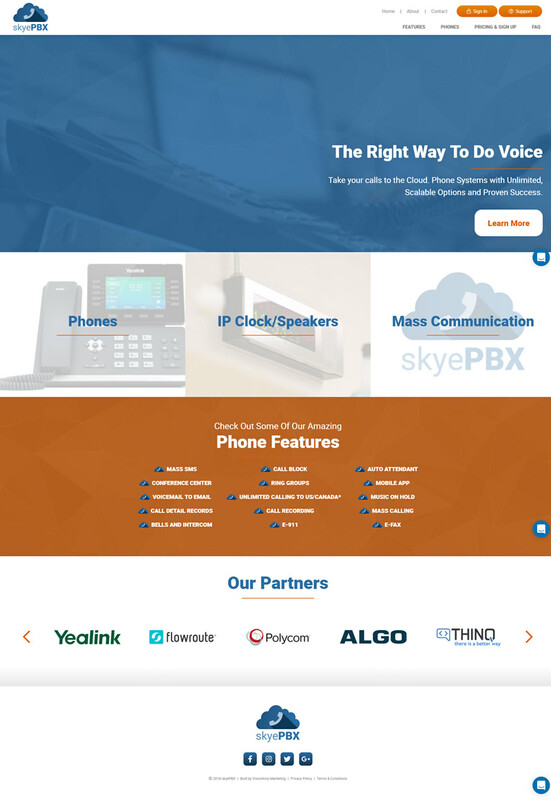 SkyePBX offers phone systems to schools, organizations, and businesses with more options than ever before by taking their phones to the Cloud.